It is an effective way to spice up your hairstyle with blond highlights. 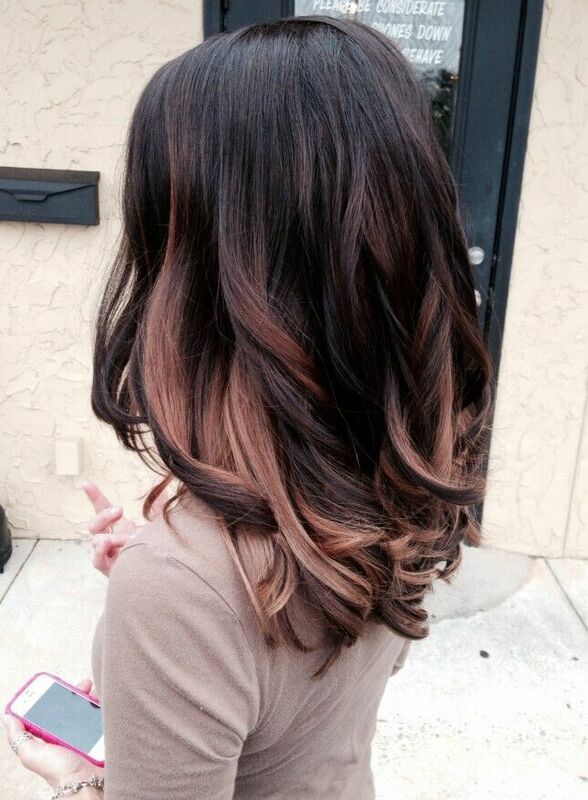 Nowadays, there are so many different coloring techniques for our choice like ombre, balayage and sombre. They will allow you to wear a trendiest hairstyle this season. 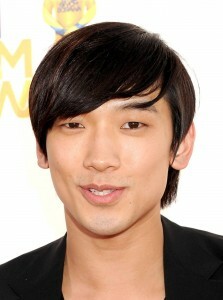 Besides, the blond highlights will be able to lighten up the dark colored hair in a flattering way. Follow us with 16 eye-catching hairstyles with blond highlights in this post! The blond and black streaks will look extremely cool on a short layered haircut. 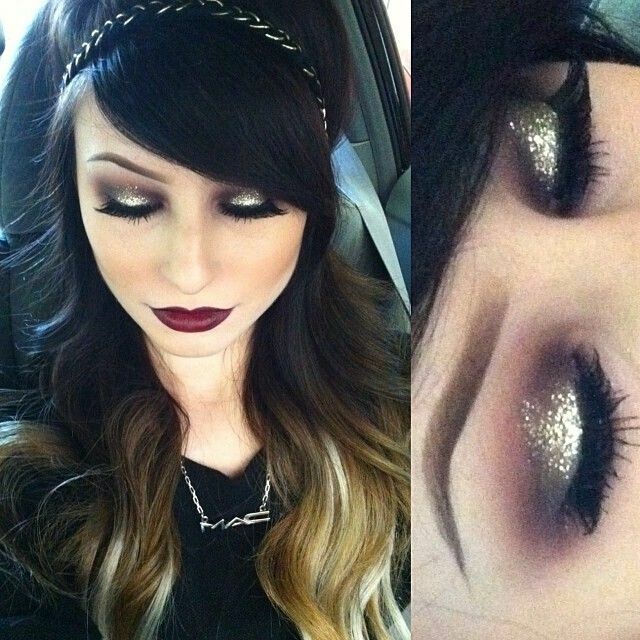 It is an ideal option for girls who love dramatic looks. The lighter shaded blond highlights will help to reflect the light to your face. They can also add another depth and definition to your hairstyle. 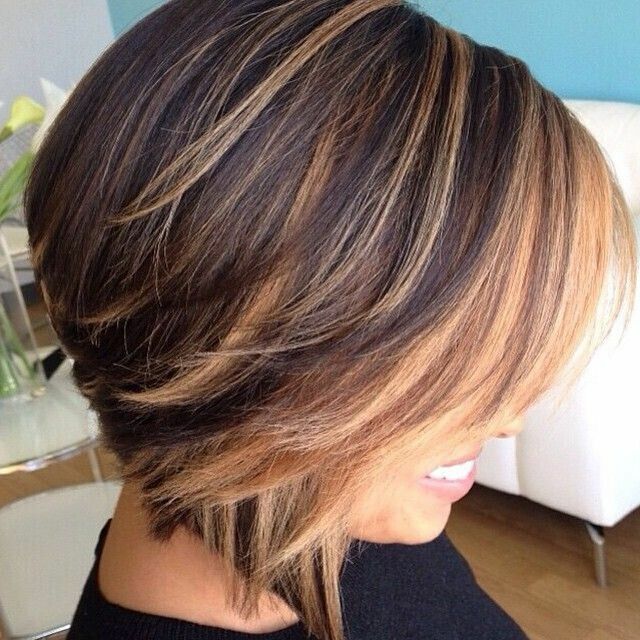 The short bob haircut looks very alluring with blond highlights. Its featured stacked layers will expose your neckline in a beautiful way. This is an elegant knotted half-up hairstyle for black straight hair, which is featured with blond highlighted ends at the bottom. The latest ombre technique can create more natural textures and movement for your long wavy hair. And there are a wide range of blond shades for your choice. Among all different shades of blond, the platinum one will work perfectly for black hair. 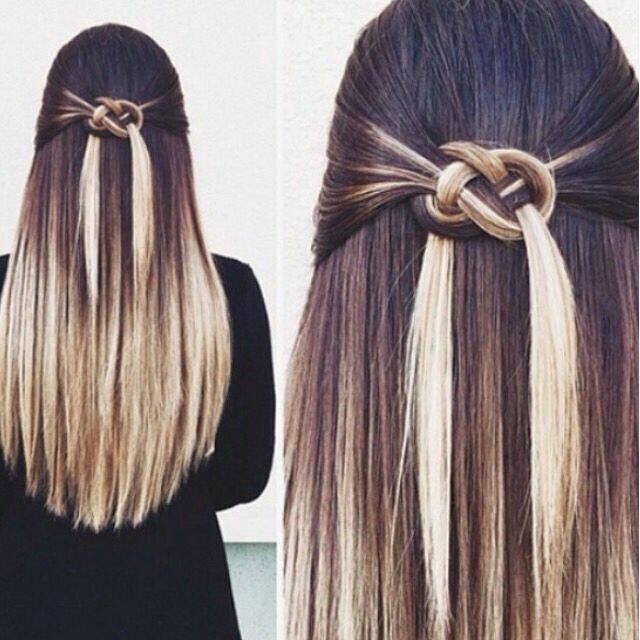 It will be able to give another spot of attention for your hairstyle. The rose-gold is being a trendiest way to spice up your dark colored hair this season. 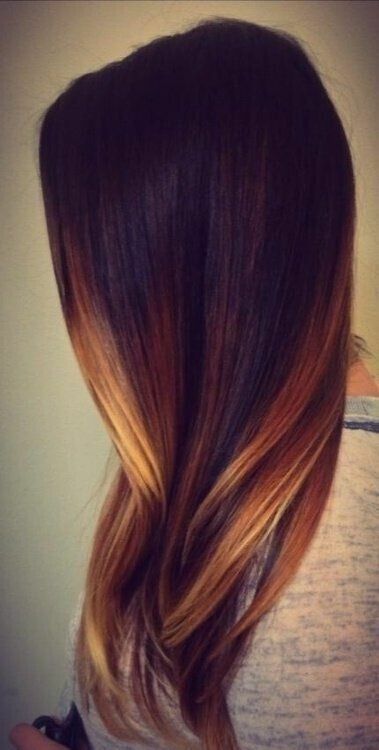 It will create a warm sun-kissed look for your hairstyle. The long straight hair will look stylish and trendy with shorter layers. A spot of blond ombre color can increase the glamor factors in a stunning way. The rose-gold blond highlights will give a strong futuristic sense to an inverted bob haircut. 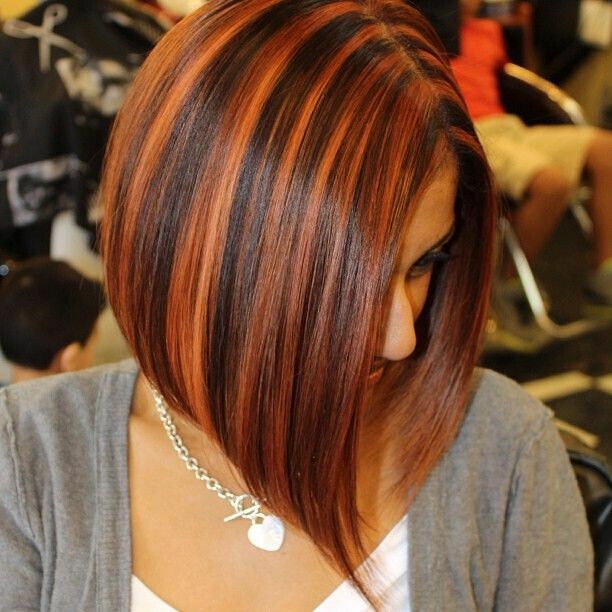 The whole look is greatly enhanced on the sleek straight tresses. The blond highlighted streaks will be able to increase the glamor factors greatly for black hair. You can style them depending on your own preference. A spot of blond highlights can totally change up your hair look. You can them at the front or sides to frame your face better. 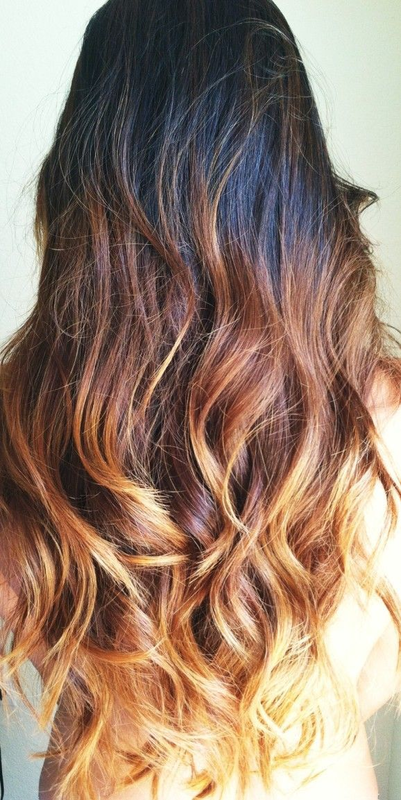 The blond ombre hair will look perfect with loose, soft beach waves. It can be a great choice for a carefree and relaxed holiday hairstyle.